Please inquire if Powdercoat options are available for the base you are selecting. 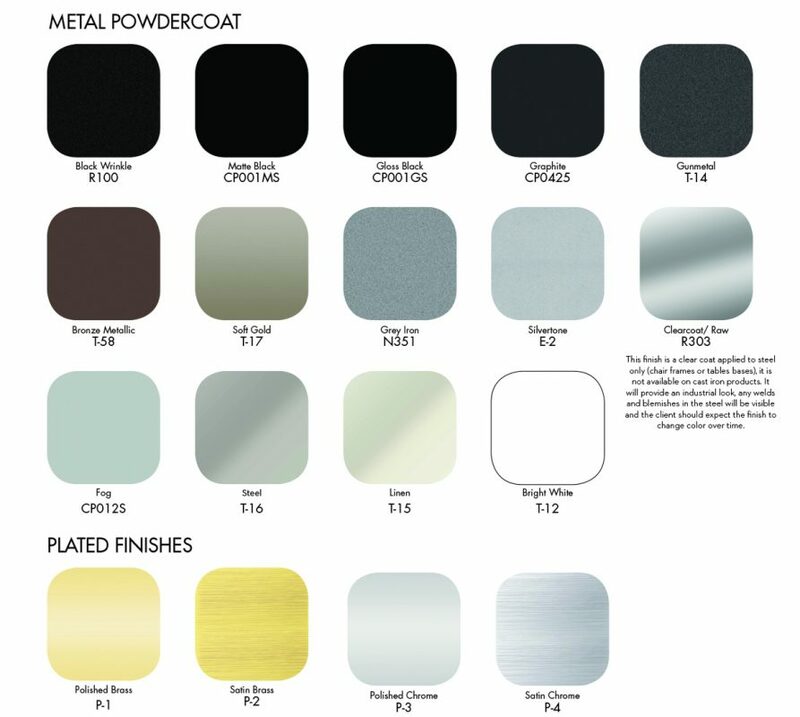 We can also provide custom powdercoat colors. Please contact us to inquire about additional options. This entry was posted in Table Designs and tagged plated finish, powder coating, powdercoating.